Hello, dear rose friends … thank you all so very much for your lovely messages and best wishes for my 60th birthday yesterday! I’ve had a most wonderful, fortunate life; blessed with a beautiful family and although I enjoyed my early working career in our family bakery at Kilmore, waitress at all three pubs in town, first real-job as Assistant to Shire Secretary at Kilmore Council and subsequently, great positions in my secretarial profession, I’m so glad that when I met Graham again in 1984, he didn’t promise me a rose garden … but rather, we created a business and became professional Rosarians together! This is the last week of summer and despite all sorts of weather conditions, our roses have endured and look stunning – just as we expect roses to do! Q. What has six eyes but cannot see? A. Three blind mice! Did I leave the best till last? No, not necessarily, it depends on what you really want to see; these are just beautiful in their own right and deserve a place in your garden! – it took a while for me to get this one too! STANWELL PERPETUAL as the name suggests is perpetually flowering magnificently! 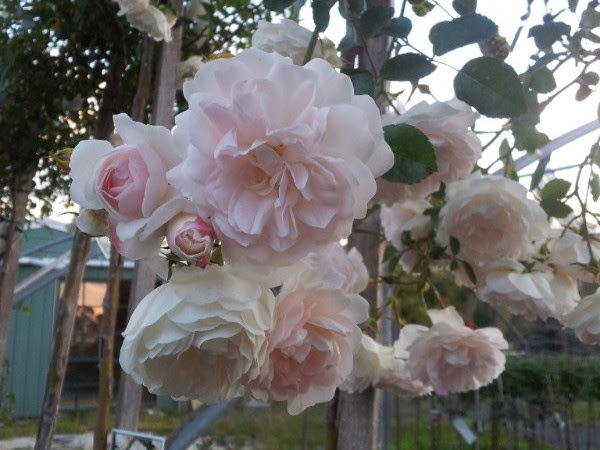 Lovely fragrance, delightfully healthy grey-green foliage as a wonderful foil to the pretty blush-pink to pure white blooms throughout an amazingly long flowering season – in some climates, I guess STANWELL PERPETUAL will flower all year! 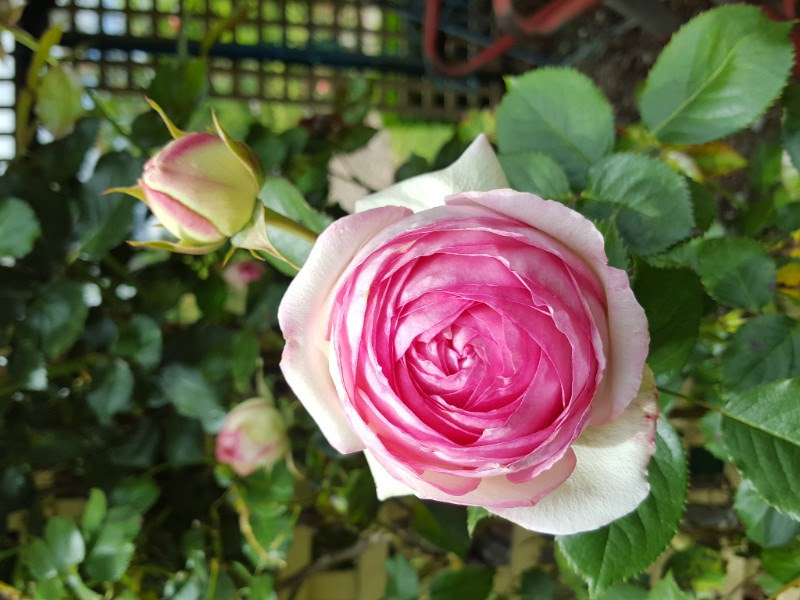 It is one of our most favourite old-fashioned roses … please don’t inundate us with requests for this gorgeous rose NOW but rest assured we will continue to stock this rose as long as we own a rose nursery! 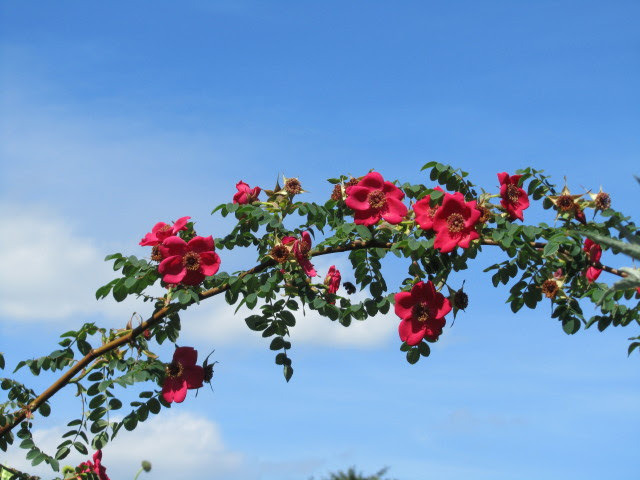 So what defines a HERITAGE ROSE? 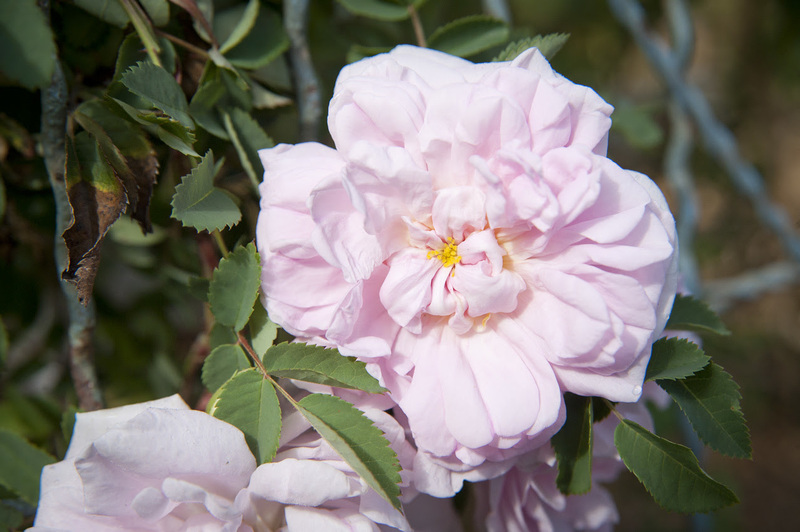 At the 2016 Heritage Rose National Conference, it was unanimously voted that any rose which was bred 75 years ago or more would qualify. 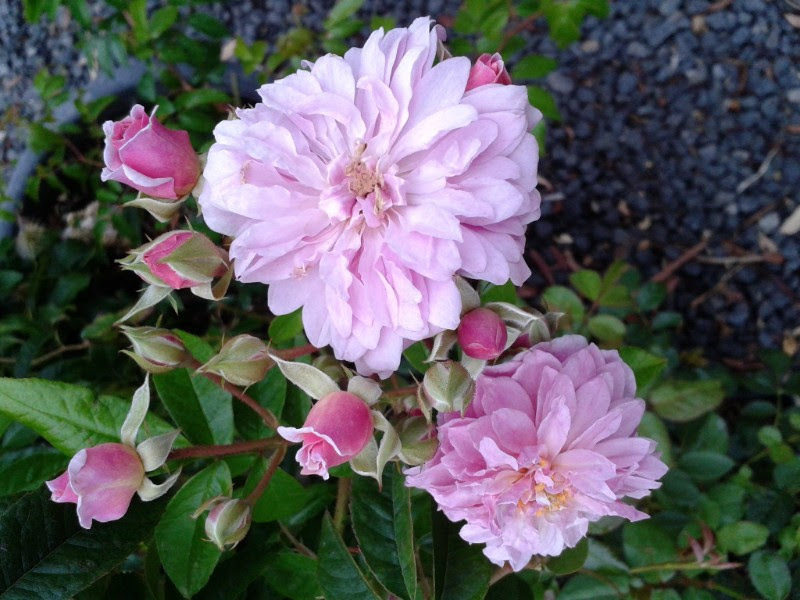 That is a ‘moving’ date which will eventually include the David Austin roses and since PEACE was bred in 1935, it is now also a HERITAGE / OLD-FASHIONED ROSE! 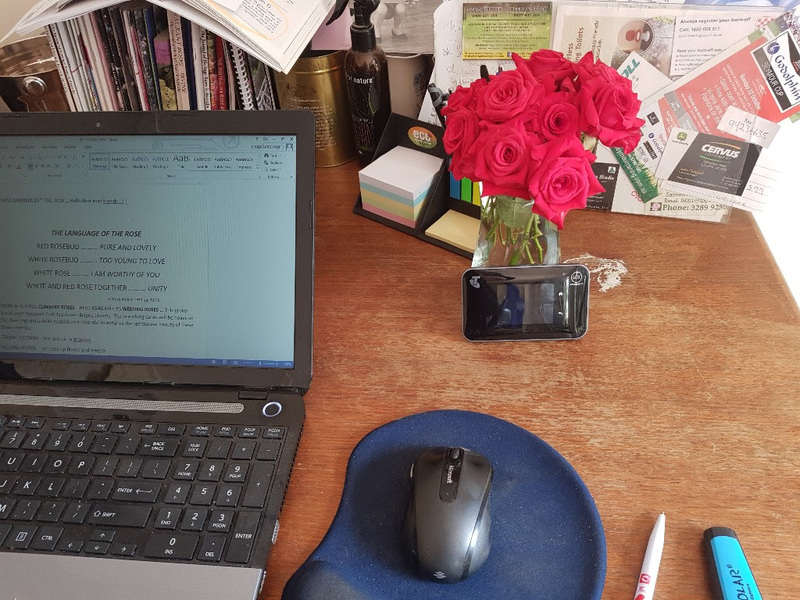 If you’re interested in researching roses, always go directly to helpmefind.com/roses and don’t hesitate to leave them a donation for the considerable amount of information they collate which affords us easy access to roses around the world at the push of a button! 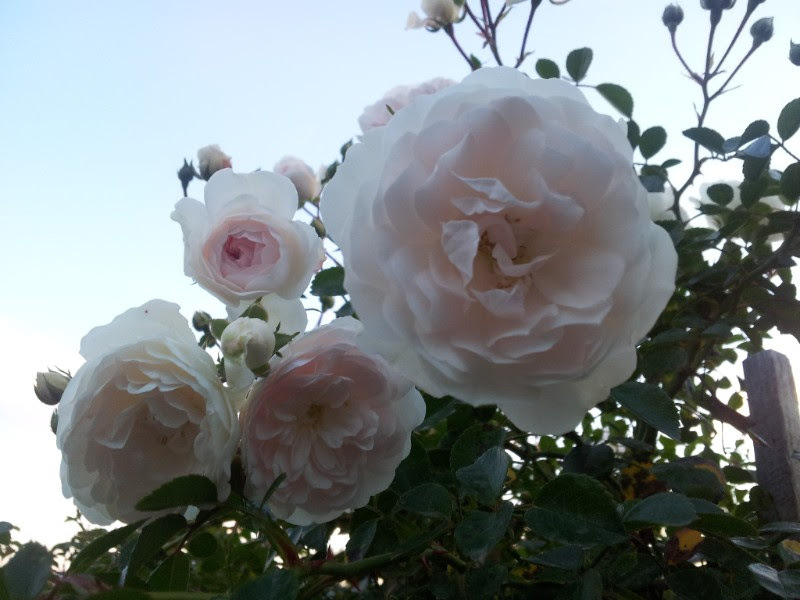 Overcoming weeks I will introduce you to some beautiful roses which I hope inspire you to grow at least ONE old-fashioned/heritage rose in order to preserve their glory in Australian gardens forever. 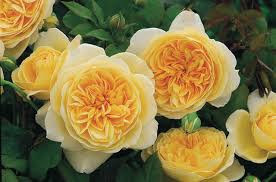 Hello, dear rose friends … have you joined a Rose Society or perhaps your local Garden Club yet? 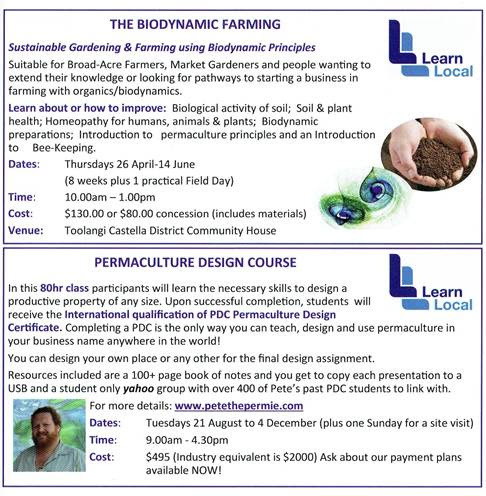 All these groups rely on interested gardeners to swell their ranks which in turn means the group can attract great speakers to their meetings and everybody benefits! Whenever we receive an invitation to speak at such a group or Club we like to know that we’re not driving a distance to speak with 10 people but rather, fill your local hall with 40-50 or more and yes, we’ll happily come and share our expertise. 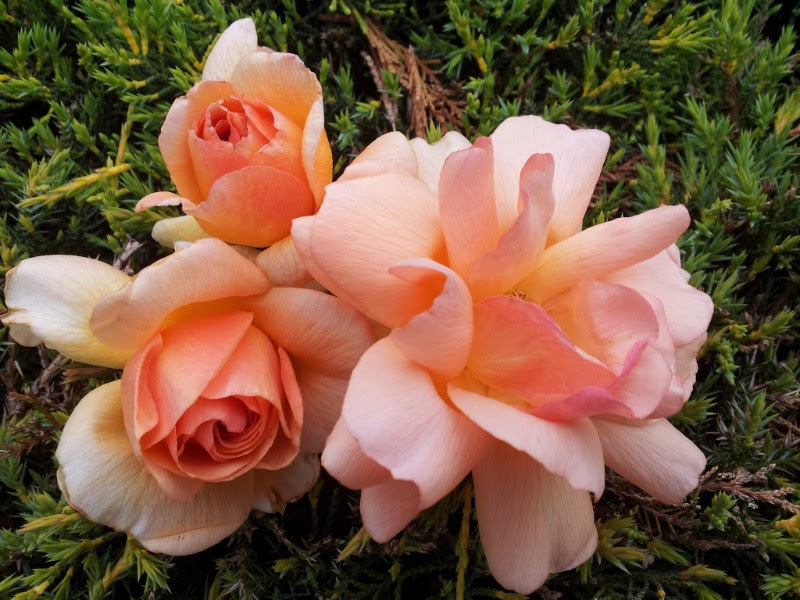 We are members of the Rose Society of NSW because we can access a most interesting and useful publication: Rose Breeders’ Forum. All groups produce a newsletter and there is a Rose Society in each State. If you need assistance with finding your local group, please email me: info@rosesalesonline.com.au and I will source information – I respond to email within 24 hours! I am particularly fond of old-fashioned roses so maintain my membership of Heritage Roses in Australia – www.heritage.rose.org.au for more information – I have years of their journals and always take at least one away on holidays. DO IT NOW!!! 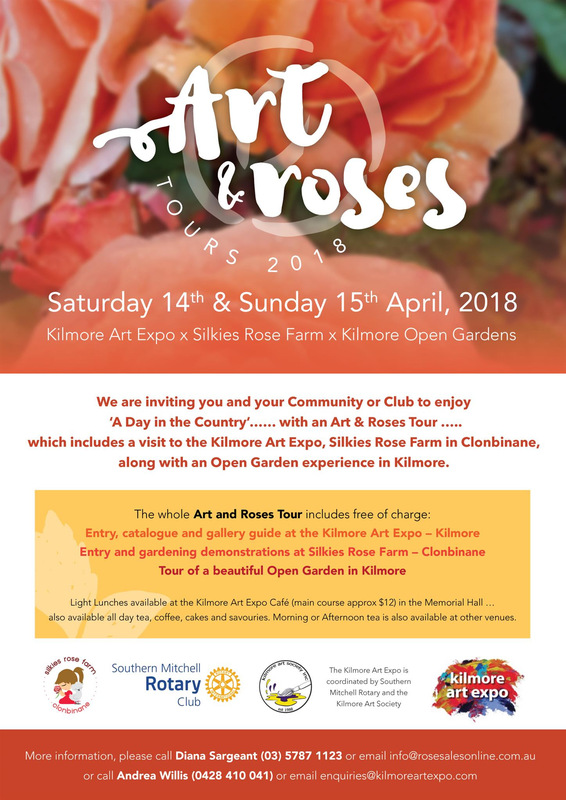 Share your love of gardening with like-minded gardeners and enjoy the friendship and camaraderie which is a natural consequence of being in a Garden Club or Rose Society! hope you all enjoyed the romance of roses in your life yesterday? I placed this vase ofKARDINAL on Diana’s desk. Q. What happened to the cat that swallowed a ball of wool? A. She had mittens. Q. How do you find where a flea has bitten you? A. Start from scratch. GRA’S BLUE is finally available again! 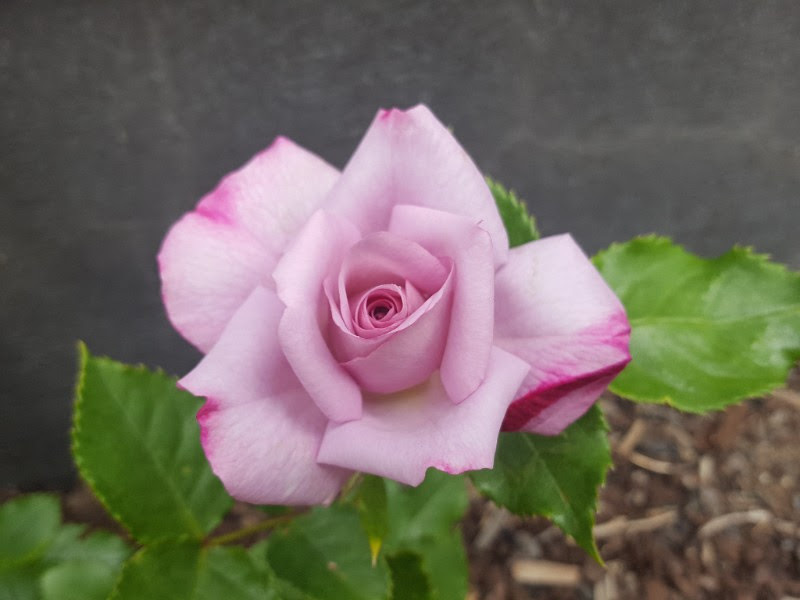 There was such a demand for my AWARD WINNING, highly fragrant, mini-floribunda rose that we had to de-list it but I’m excited to tell you that we are once again offering magnificent plants of GRA’S BLUE … go to www.rosesalesonline.com.au tomorrowafternoon to see our special offer available until end February 2018. 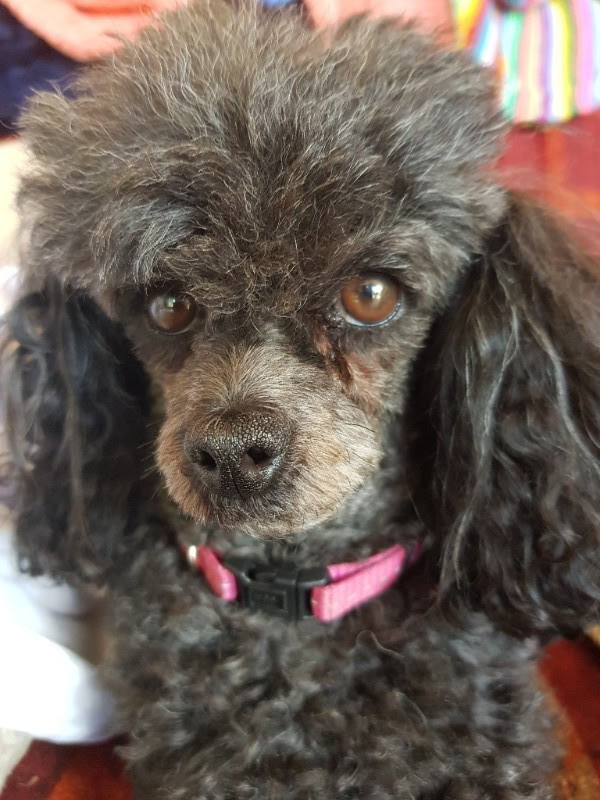 In closing, HAPPY CHINESE NEW YEAR … as we enter the Year of the Dog – remember that your dog is always welcome here at the Rose Farm provided they are on a lead because there are usually chooks roaming and we don’t want any incidents! Cheers from Diana, Graham and MOOI. Hello, dear rose friends as we revel in this glorious summer weather with green lawns and lushly foliaged roses which are blooming magnificently – such an unprecedented season for us here at Clonbinane where just 9 years ago we endured 48-degree heat and the tragedy of Black Saturday bushfire which entirely destroyed our front garden. Thankfully, Graham and Ben saved our home and many of the magnificent trees which form the backbone of our ‘paradijs’, which is now resurrected and an absolute delight to us and those who visit! I remind you that TODAY or TOMORROW at the latest you must organise a GIFT rose for the love in your life to be delivered next WEDNESDAY, ST. VALENTINE’S DAY … if you need EXPRESS POST for interstate delivery you will have to email Diana at: info@rosesalesonline.com.au as this option is NOT AVAILABLE in the online store but I am more than pleased to be able to send your GIFT ROSE via EXPRESS POST. 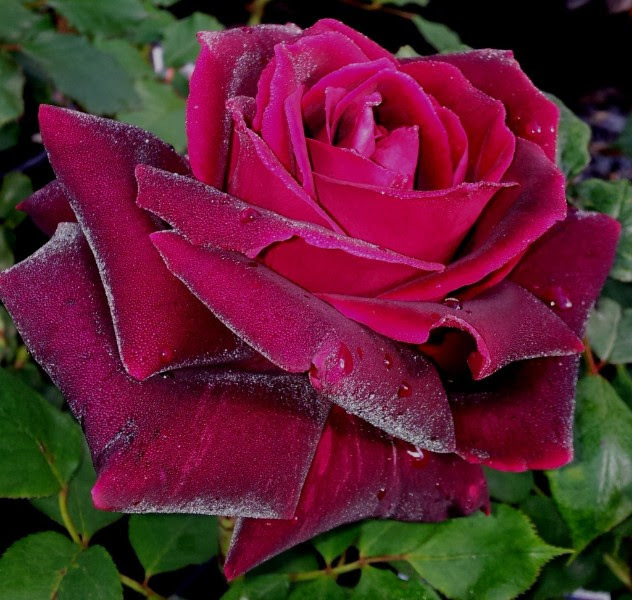 My pick for the most incredibly glorious highly fragrant blooms which, when open, fade to rich cerise – will be a winner so that even the least romantic person could present this rose to the one they love and the message is all said and done in the rose itself – simple! 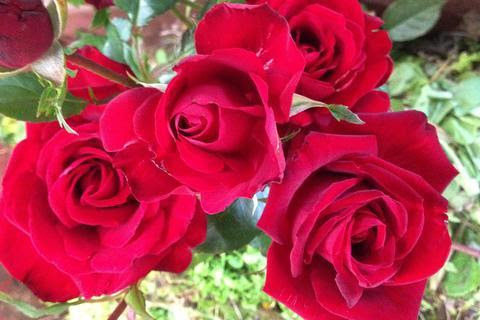 So, let us here at rosesalesonline.com.au make your gift-giving this St. Valentine’s Day beautifully simple – all you have to do is select the colour of a rose and we’ll gift wrap a magnificent flowering potted specimen and post it to the recipient. I’m happy to write your romantic message too! MR. LINCOLN is another beauty which is sure to be an absolute heart-winning rose! 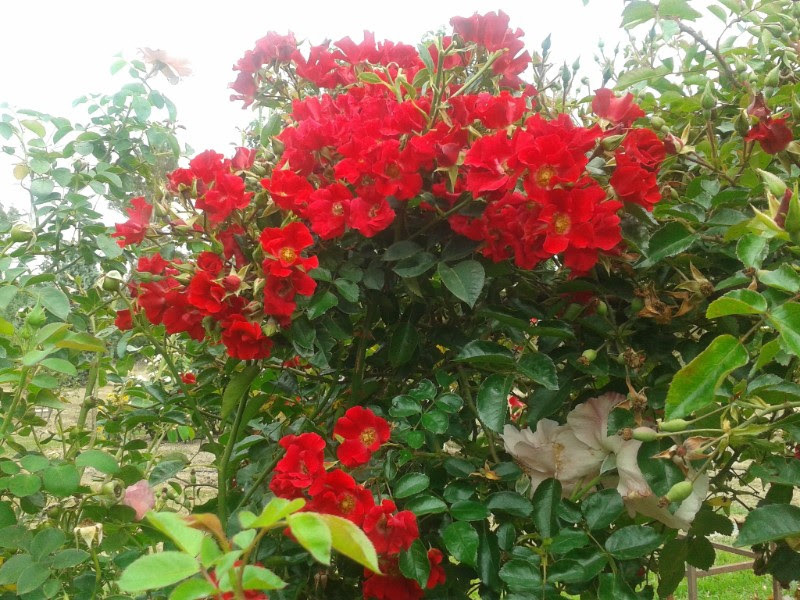 Rather than buy flowers this Valentine’s Day, buy the whole rose bush and enjoy the flowers throughout many years of flowering seasons to be reminded of the love in your life, over and over. DEVOTED TO YOU … the name says it all on this special occasion … perfectly formed red, red roses! Lots of our customers rely solely on tank water for their gardens. Naturally, when we don’t get decent rain periods, keeping a constant supply of water happening can be seriously challenging gardening. 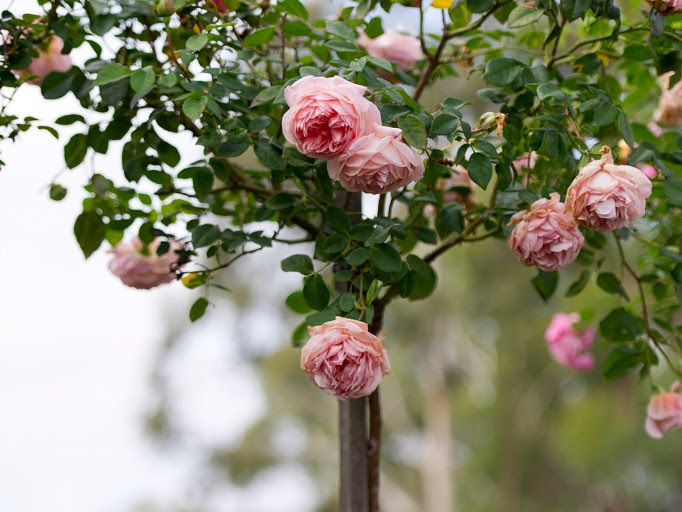 If your roses are stressed due to lack of water, lightly trim spent flowers and with as little as 10 litres of water per week, confidently know the bushes will survive until the rain comes. Q. What is the biggest ant? A. An elephant … of course! 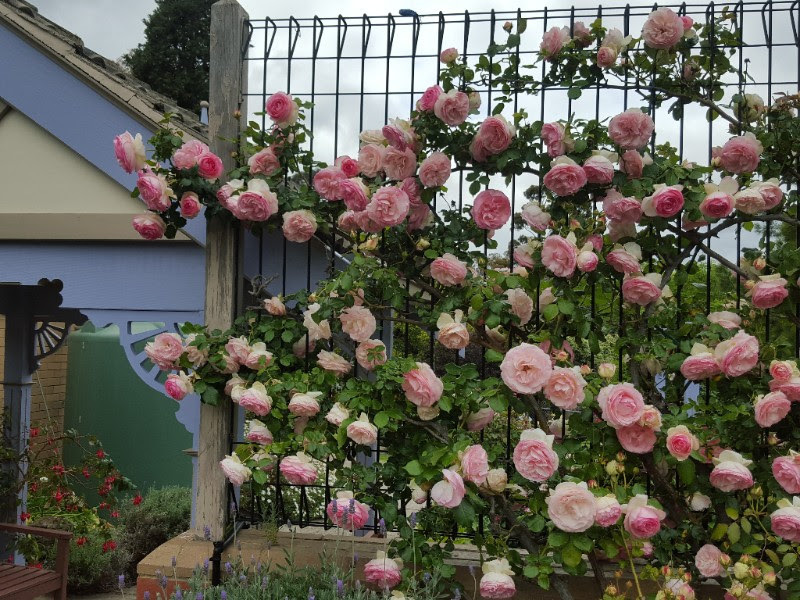 If you haven’t done the Summer pruning, there is still time – it means that your roses will show off their most glorious blooms from mid-March onwards when the temperature is cooler and the flowers last so much longer on the bushes! is very natural at this time of year and should not cause concern or any need for spraying. During very hot periods, the water rises from the roots first to the very top of the plant. A vacuum created in the leaves due to transpiration needs to be filled first. 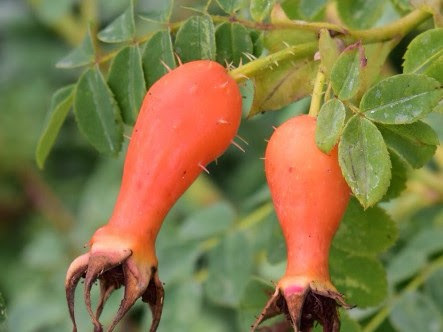 The lower leaves, which are not very active anymore, are neglected in the water supply, turn yellow and eventually drop off – the rose stems have thickened and the attachment of the leaves is gradually severed. A bit like we lose hair and skin every day! Q. What type of jam cannot be eaten? A. Traffic jam! Hello, dear rose friends as we start the last month of summer and our gardens look forward to some relief from the scorching heat. Thanks to the brave souls who ventured here last Sunday for a Walk ‘n’ Talk in the gardens with me … it was great sharing and swapping ideas. “JOHNNY, why aren’t you playing tennis with Simon anymore?” his mother asked. “Mum, would you play with someone who always lies about the score?” Johnny responded. “Absolutely not!” his mum said. “Well, neither would Simon,” Johnny said. “You are a genius, no doubt about that. I have removed all affected leaves, fed them and yes guilty as charged, night watering – even though I water from below, the leaves are probably getting wet – derh! You have warned us all countless times about this. Yes, they are growing like crazy, foliage, buds, flowers and I assume roots – no wonder they are hungry. 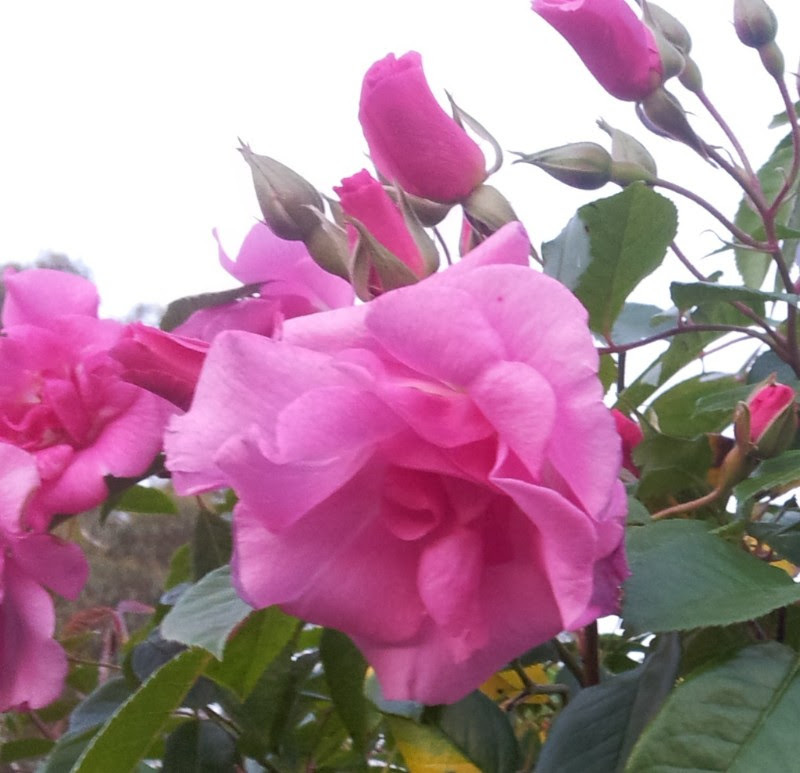 First rose in full bloom – stunning – and lots of rosebuds forming! I am SO HAPPY with my ABRAHAM DARBYS. 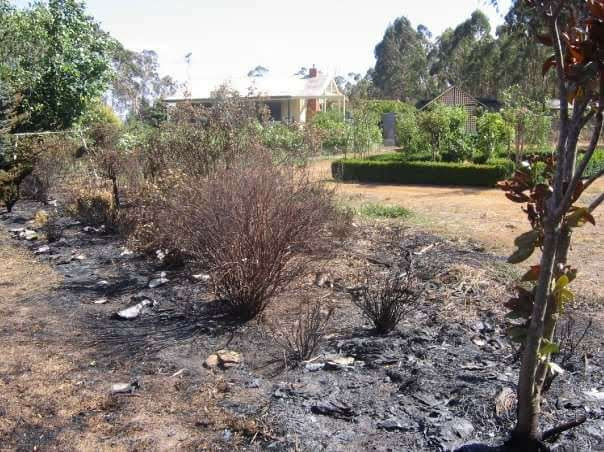 Watering the garden with a hand-held hose or sprinkler is fine if you only have a small garden. 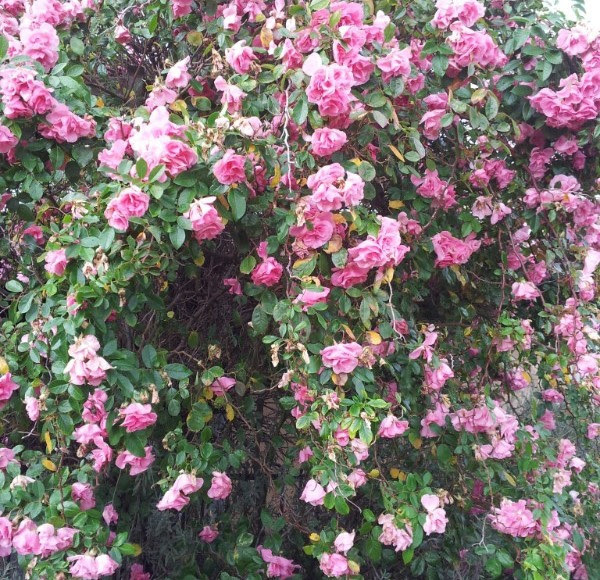 The roses must be watered on a regular basis for them to perform to their maximum capacity. 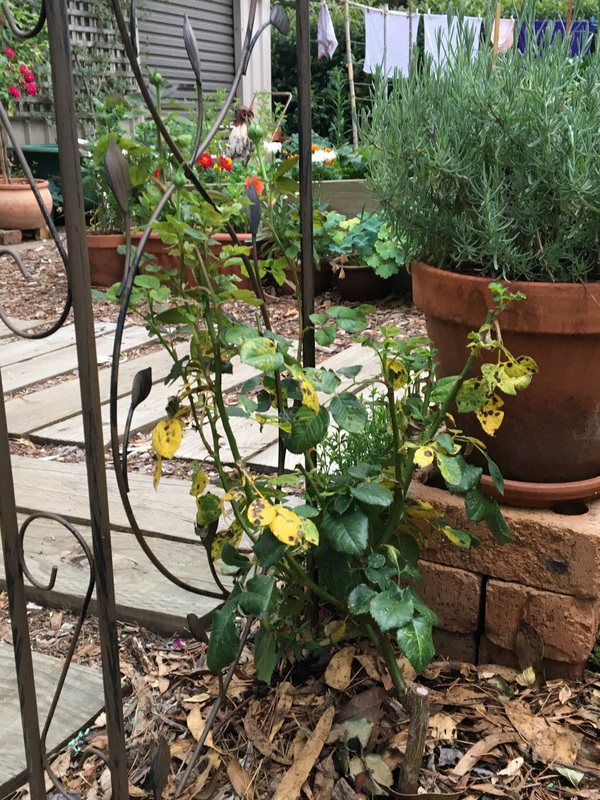 Leaving them to dry out for weeks on end and then watering every day will cause chaos for the plants and you will start to see incidence of disease and a decreased number of flowers. 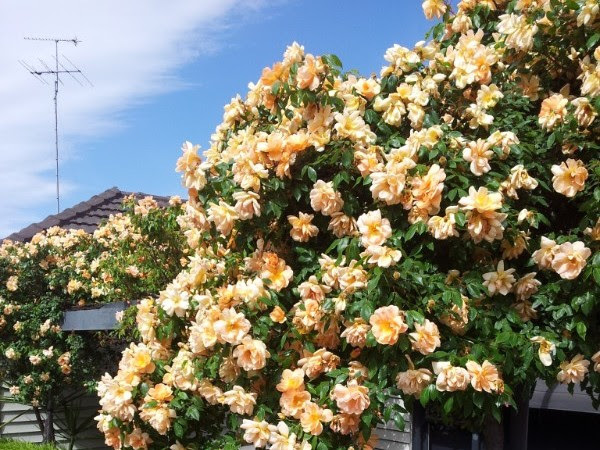 Also, giving the roses a light squirt whilst walking around the garden enjoying the splendid evening fragrance with a beverage in one hand and a hose in the other is a definite NO-NO for your roses. The foliage will remain wet during the night and most certainly lead to the onset of fungus problems like black-spot and powdery mildew. Q. What do you call a sleepy bull? A. A Bulldozer! The ‘do anything you like with me’ rose is absolutely brilliant as a weeping specimen rose … remember to feed it copiously, continually! 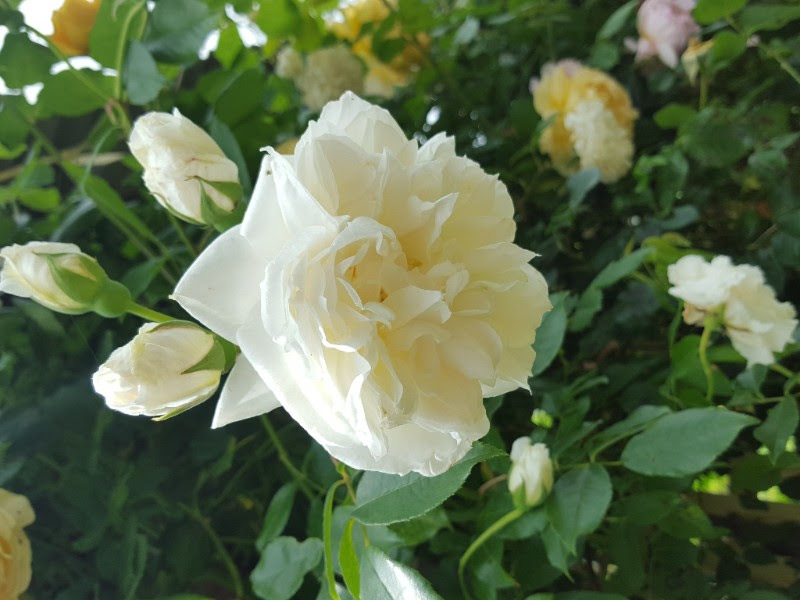 Glorious rose which may have a slight pink blush during cooler weather but otherwise purest white in massive profusion during more than 9 months of flowering. Yes, there are more varieties which we highly recommend so I’ll follow through next week with more recommendations. 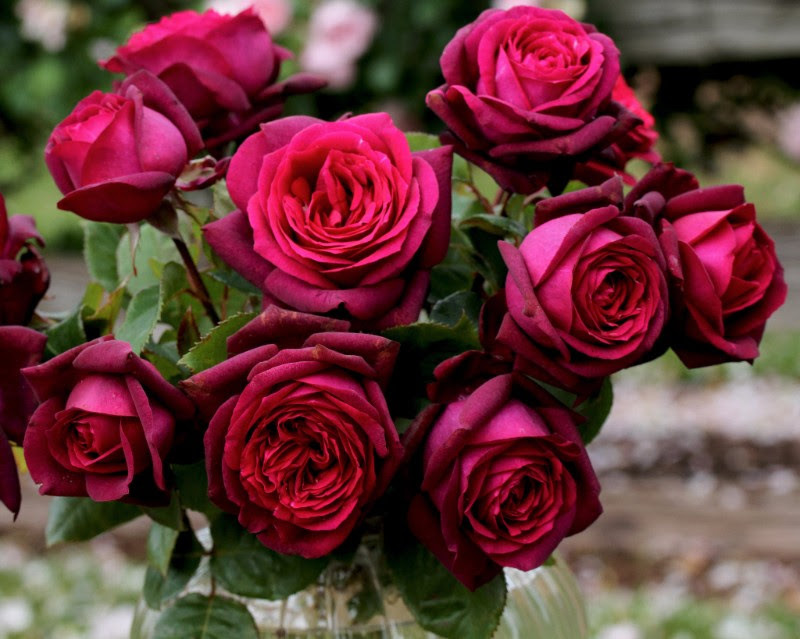 Meantime, know that we have researched having weeping roses delivered to your door in other States by RANGEVIEW TRANSPORT and although it’s as expensive as the rose itself, you might consider such a spectacular show in your garden very worth the expense! 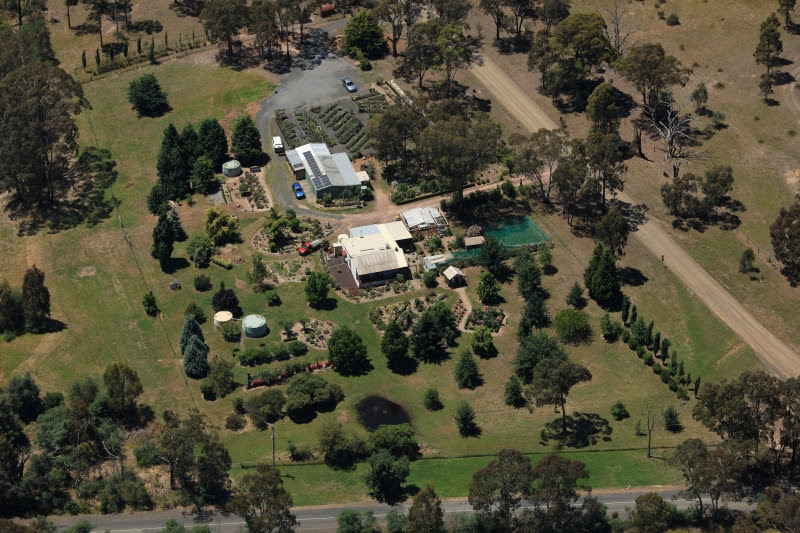 Please call us at the nursery on 03 5787 1123 during normal business hours – 9am – 4pm EVERY FRIDAY, SATURDAY, SUNDAY and MONDAY if you’re interested. 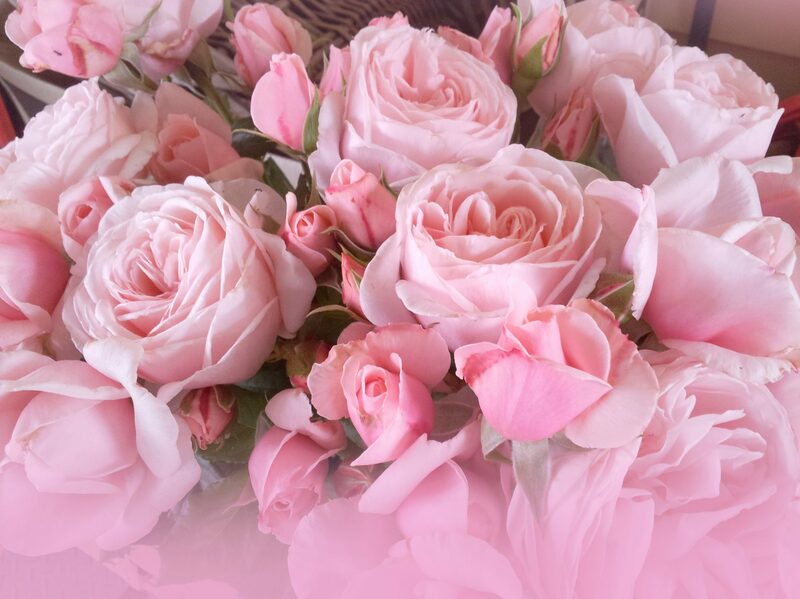 http://www.rosesalesonline.com.au IS MOVING FORWARD by adopting www.auspost.com.au eParcel which promises to make sending our beautiful roses more efficient and we’ll have greater support in the event of a parcel going astray. I am told that because we hand-write our customer address on the box, their computers are way more likely to pass-over our parcels because they cannot read them as quickly as they can the e-Parcel sticker … yes, this definitely happened on several parcels in the lead-up to Christmas.